The reduced design of Range 805 enables clear structuring of a room. 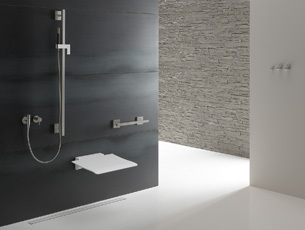 Down to the smallest detail, this Range shows that good design and intelligent functions can form an integrated whole. The functional area of the products is contrasted in colour with high-quality polyamide. By using polyamide the controls are pleasant to grip. The colouring (optionally pure white, anthracite grey or black) makes them clearly stand out in rich contrast and they are therefore easily recognised. Universal Design takes into account the needs of all users. The products were developed on the basis of this philosophy. 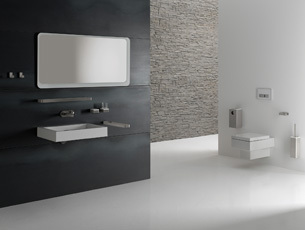 The Range not only includes classic sanitary accessories but also products with a slightly supporting effect, through to those with complex, accessibility functions for use in the standardised public segment.